I heard a fellow coach, Talane Miedaner, make a wonderful point the other day in response to a woman on a call who expressed the concern that there never seemed to be enough time in the day. Talane said (and I’m paraphrasing to some extent) that this sensation occurs when we make the mistake of treating time as a fixed commodity. In some sense, of course, it is. The last time I checked, there were still 60 minutes in an hour. 24 hours in a day. And so on. Still, time is not necessarily a “use it or lose it” proposition. Our children may experience this stretching effect the night before Christmas or somewhere between the 12th and 47th time they ask, “Are we there yet?” And, if you’re lucky, you’re familiar with the sense that an entire day has passed in what seemed like minutes because you were so engrossed in your work or a carefree outing with friends. 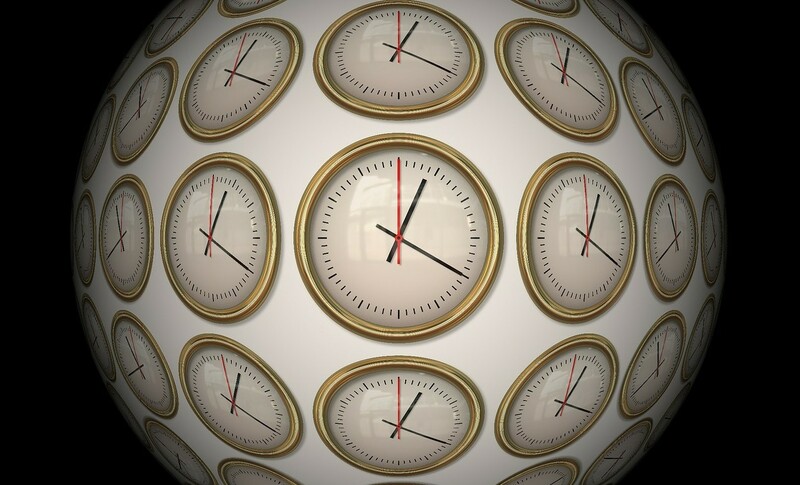 Just as minimizing possessions can reduce physical clutter and create an environment more conducive to creative work and worry-free play, nipping our “busy schedules” in the bud may too bend the space-time continuum in our favor. Whether you show up 10 minutes early to all of your meetings just to sit and breathe (Talane’s pet time hack), meditate for a few minutes each day, exercise during your lunch break, or prioritize your hours away from the office as zealously as you do those in it (physically or electronically), there is an almost magical quality to the possibilities that arise when we “make time” for time. What tricks do you use to value the quality, rather than the quantity, of your time? What is one area of your work or life in which you believe a built-in break or respite might enhance your overall fulfillment in that area? You can click here to listen to the audio of the conversation, above. And for a terrific discussion of the profound productivity benefits of valuing your “personal time,” check out The Secret to Increased Productivity: Taking Time Off from the October 2014 issue of Entrepreneur. This entry was posted in Mindfulness, Professional and tagged time by Brian. Bookmark the permalink. I can’t say I perfectly live by this mantra. But I do regularly remind myself of this to ensure I’m finding time to do what I want to do enough of the time to stay happy. I love that, Frank. Hyde’s quote really emphasizes the necessity of purposefully making time for what’s important. Thanks for sharing!